If you’re looking for a rustic wedding with a country flair to inspire your big day, today’s wedding is just for you! Maggie and Bryan’s wedding is filled with burlap, boots and ball jars. I love the fairground venue they transformed with all of their DIY decor. I absolutely love their centerpieces! I just know you will love this vintage inspired wedding! 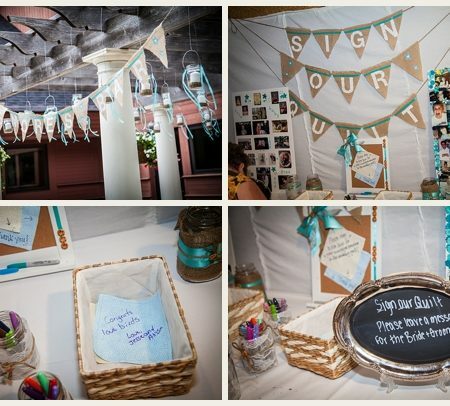 This couple created a gorgeous day on a tight budget and the details seem SO fun! I love that they used vintage furniture in their wedding photos and the fact that they created a DIY photobooth! It looks so fantastic and fun!